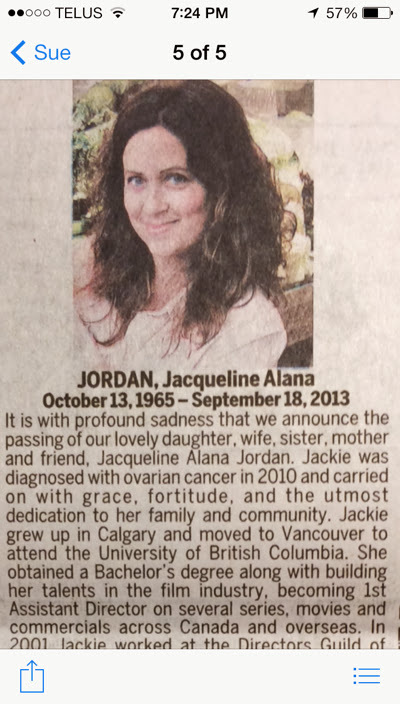 I saw Jackie's announcement in the paper today. It was a beautiful tribute for a beautiful and amazing woman. My heart is heavy. Jackie and I had a special connection. Both our lives changed forever in 2010. Jackie my friend, you will be sadly missed. Please remember to donate to cancer research.